In Mexico, only dogs and cats are considered pets (mascotas) for purposes of regulation. 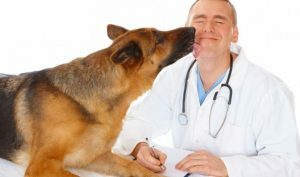 Issued by an official veterinary from the proper authority or, if this veterinary has a private practice, on letterhead, with his or her professional identification number printed on the document, or a photocopy of the identification (or equivalent). Date of rabies shot and its expiration date (animals less than three months of age are exempt. That the animal(s) has/have been internally and externally dewormed within the last six months and are free of ectoparasites. (THIS REQUIREMENT DOES NOT APPLY FOR PETS WHOSE COUNTRY OF ORIGIN OR FROM WHERE THEY ARE BEING SENT IS THE USA OR CANADA). Name and address of exporter (in country of origin or from where the pet is being sent) and of the importer (address of destination in Mexico). That in the inspection prior to their trip, the animal(s) was/were found clinically healthy. 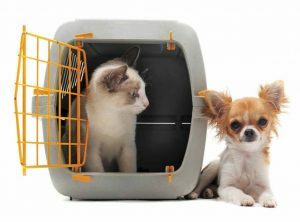 Your pet must enter inside of a clean, bed-less carrier or container, without implements or accessories. If these are found, the items will be removed and destroyed. The carrier or container will receive a preventive spray treatment by official personnel from SAGARPA-SENASICA. You will be able to enter with one daily ration of loose, balanced pet food. We will remind you that, in Mexico, this type of food is available at Registration and Authorization at SAGARPA-SENASICA. 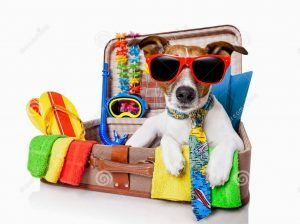 If you send your pet as documented cargo, verify the requirements in the airline of your choice and consider the need to use the services of a broker for release to the Customs. (B) whether it is necessary to retain the animal in custody for an additional inspection. Should this happen, they are required to give you a voucher. If the pet has parasites, a Vet chosen by the owner will apply an antiphrastic treatment and the owner has to pay for this service. Also, the officer will disinfect the kennel box of the pet. Click on this photo to be taken to the Official Web Site of SENASICA, the National Service of Agro Alimentary Health, Safety, and Quality (by its Spanish abbreviation in initials). SENASICA is a decentralized agency from the Secretary of Agriculture, Livestock Production, Rural Development, Fishery, and Food or SAGARPA. SENASICA is oriented to perform sanitary actions in order to protect the agricultural, aquaculture and animal productions resources from pests and diseases of quarantine and econmic importance. A) All kinds of pet beds are forbidden; and it is only allowed feed for the day that pet arrives. B) When health certificate doesn’t indicate, 2 and/or 3 requirements of this list, it’s necessary to bring original documents that include rabies vaccination date (12 months prior to export) and antiphrastic treatment (6 months prior to export), and the officer will retain a photocopy after comparing it with the original document. C) Health Certificate must be printed in headed notepaper with professional degree of the vet (or equivalent) or a photocopy of the professional degree of the vet who issued it. This Certificate has to be issued within 5 days prior to export; if certificate was issued before 5 days, the officer would examine the health status of pet and a vet chosen by the owner will certify health status and will apply the corresponding treatment if necessary and the owner has to pay for this service. D) Importation procedure is free when you import one to three pets (dogs and/or cats). 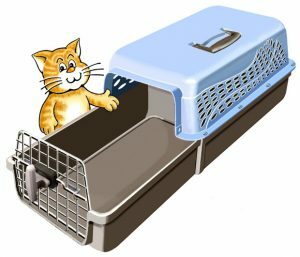 If you are transporting more than three pets, you must cover the cost of the Animal Sanitation Importation Certificate ($2,087.00 pesos/$112 USD/$146 CAD, subject to change, according to the current Federal Rights Law). The payment can be made with the eCinco form at a bank or online. If you need further information when you arrive to Mexico an Agricultural, Fishing and Aquaculture Health Officer will guide you about the procedure. 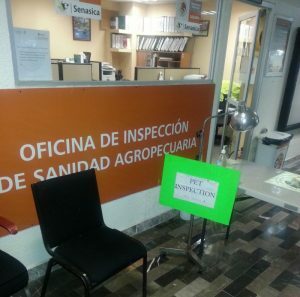 If you wish, you may consult in advance the Agricultural Health Inspection Office (OISA) at the airport here in Guadalajara. Mondays and Fridays from 9:00 to 20:00 hrs. Tuesday to Thursday from 09:00 to 19:00 hrs. What if you don?t have any documents when you arrive to Mexico? Your pet must remain in the facilities until a vet check and certify the health status of the pet and he or she will apply the rabies vaccine and preventive treatment antiphrastic to continue the process of importation. This can cause delays and costs to be assumed by the owner. 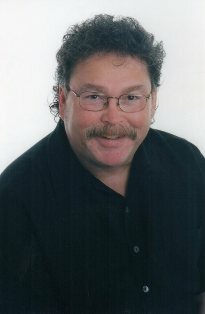 What if the pet has any infectious disease or pest? Your pet must remain in the facilities, and the owner has to pay a lab test to prove that the animal has an exotic disease or pest, a vet will apply it the corresponding treatment. If the pest or disease that causes return or slaughter of the pet, the owner has to cover the cost.